The whistleblower lawsuit against the TABC — where the former sergeant, Marcus Stokke, worked for 16 years — says that last year Stokke told the FBI, a federal prosecutor and the agency's internal affairs department that Huffman interfered in an investigation into Graham Central Station. The bar had drawn scrutiny for failing to report multiple “breaches of the peace” that took place on or near its premises, including a sexual assault, according to the lawsuit, which was filed in Austin. In a statement to the Tribune, Huffman, R-Houston, wrote, “These claims are false and have no merit, and are not deserving of any further comment.” Huffman, who chairs the Senate State Affairs Committee, did not respond to questions about the extent of her ownership stake in Graham Central Station, which no longer appears to be open. Bill Miller, a consultant representing Huffman’s husband, Keith Lawyer, said Lawyer sold his interest in the bar in 2015, two years before the lawsuit claims the interference took place. TABC spokesman Chris Porter said the agency is unable to comment on pending litigation. According to the lawsuit, agency officials told Stokke to discontinue an investigation into Graham Central Station and erase digital and print records documenting the bar's alleged wrongdoing. "It was total retaliation," Stokke said in an interview. He is seeking at least $200,000 in damages as well as reinstatement to his old job at the TABC. But, he said, the reason the agency officials gave when they instructed him to end the investigation was, “this is really political and there’s a state senator involved." 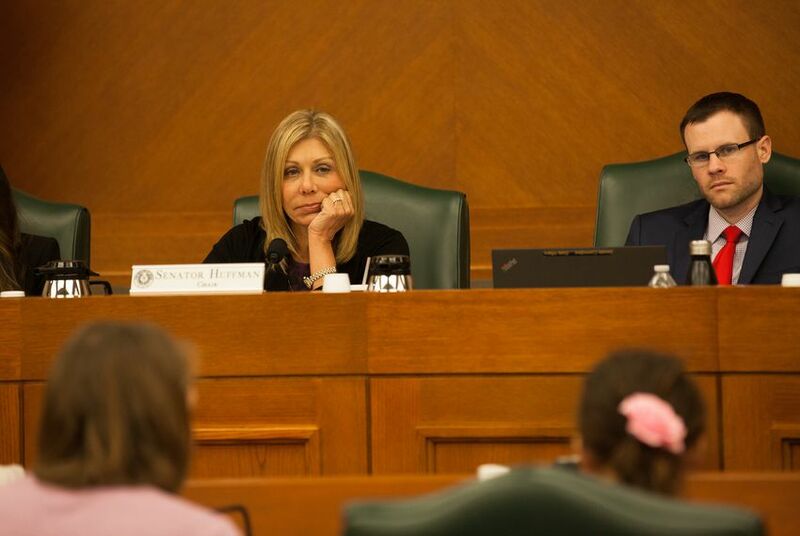 On Friday afternoon, Rita Lucido, a Democrat running to replace Huffman in November, released a statement calling on the Texas Rangers to open an investigation into Huffman's conduct. "In a page taken straight from the Ken Paxton-Trump Administration playbook, Joan Huffman has demonstrated a clear contempt for transparency, ethical guidelines, and the public interest by engaging in shockingly corrupt practices to protect her and her husband's business interests," Lucido wrote. Last year, a series of high-level officials left the TABC after the Tribune reported that agency employees had used taxpayer funds to take extravagant trips to out-of-state resorts where they rubbed shoulders with industry groups. A new executive director, Adrian Bentley Nettles, took over the embattled agency in July 2017. Huffman has served in the Texas Senate since 2008.